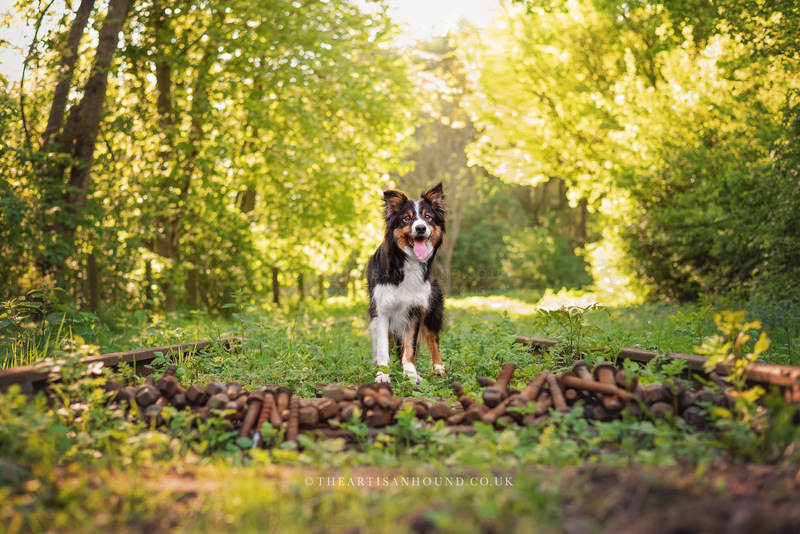 Okay, so I’m running a little bit behind on my calendar project… But I have been managing to time each session to its corresponding month (yay!) 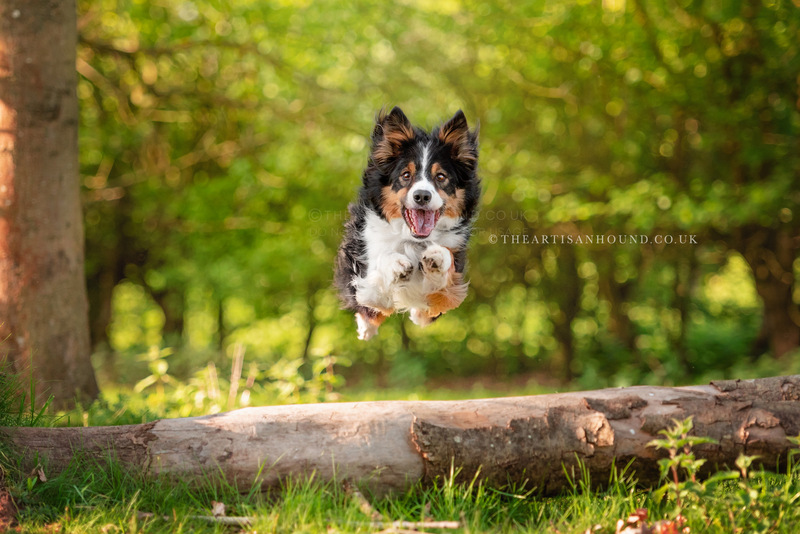 which has meant that – for the most part – the resulting photos have been a good representation of the season. 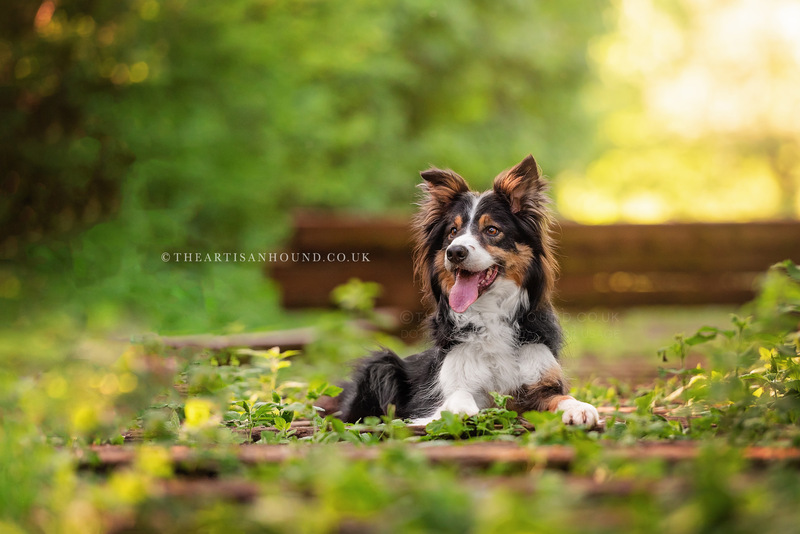 Probably one of the best examples so far has been Flash’s session. 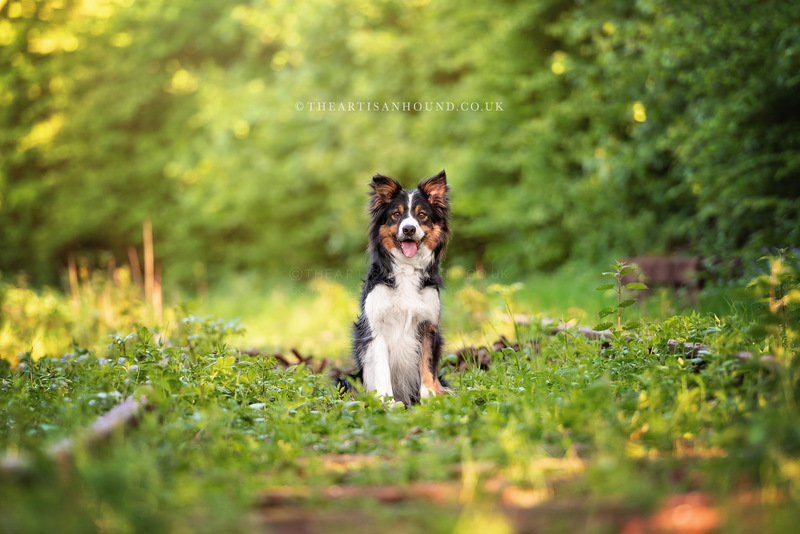 After a horrendously wet April and a couple of reschedules, I finally managed to meet Flash and his mum on a gloriously warm spring evening in the heart of Northampton. 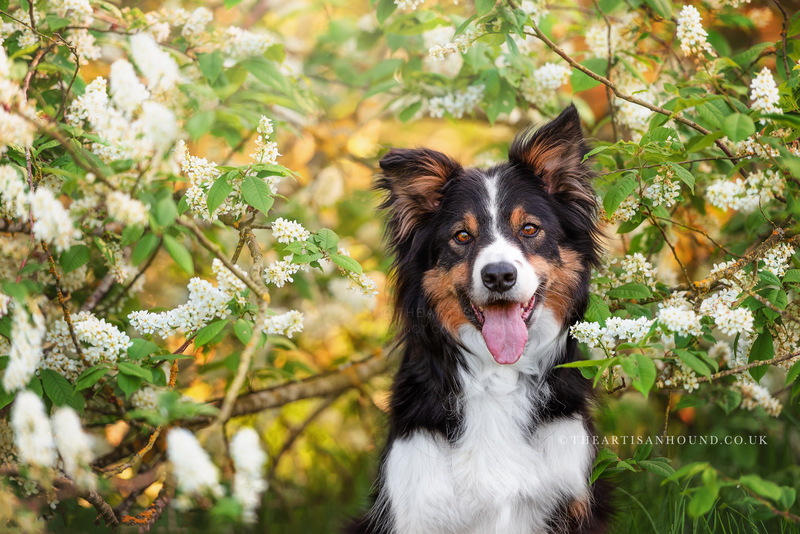 The blossoms were in full bloom and everything was starting come to life, after what felt like the longest winter ever. 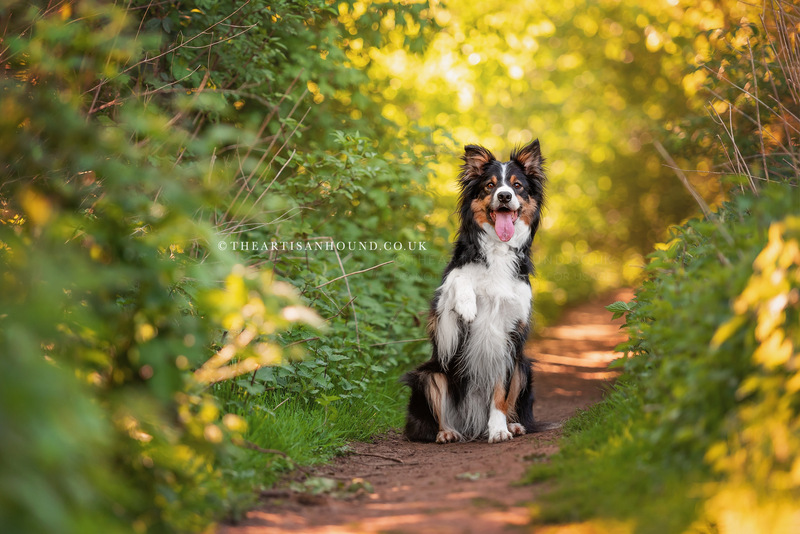 Not only was the weather perfect, but Flash was an absolute gem to work with. 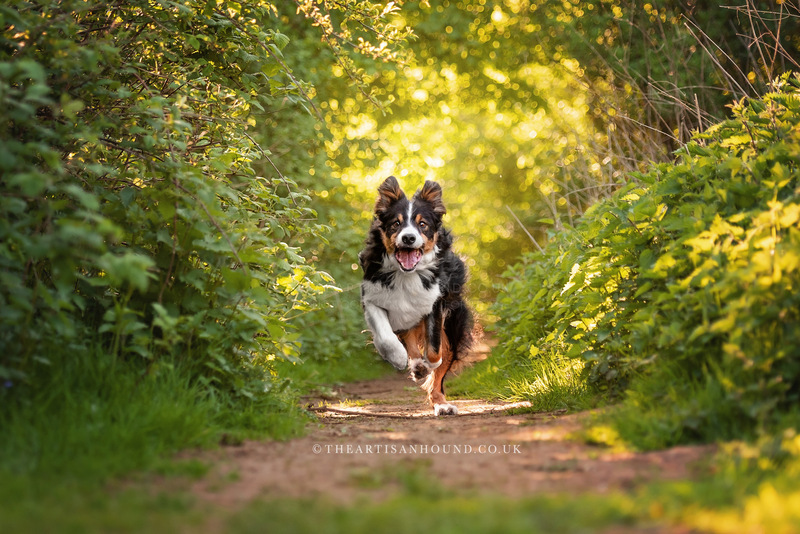 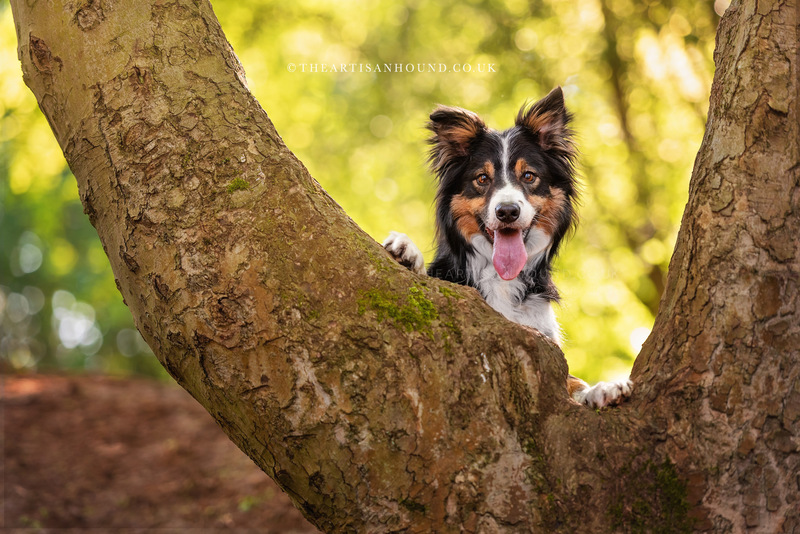 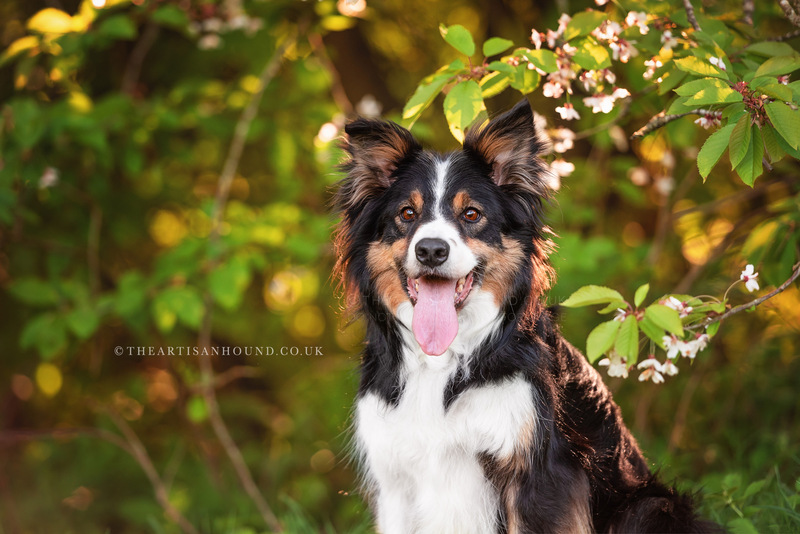 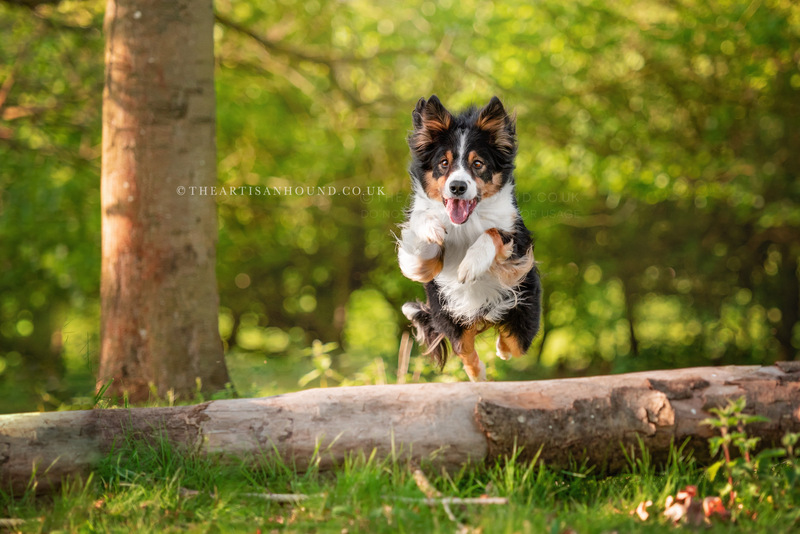 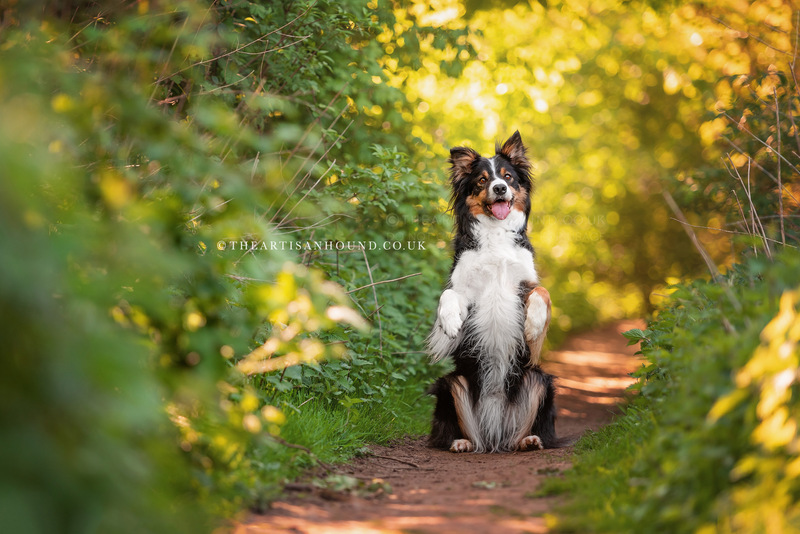 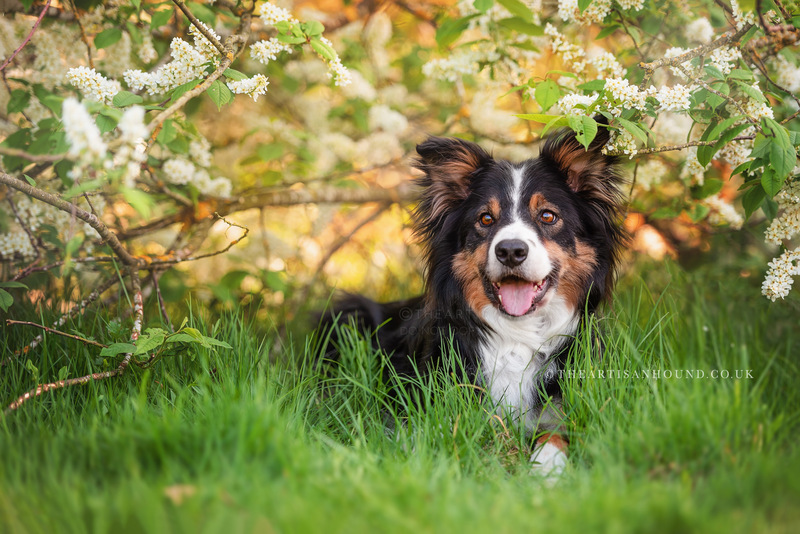 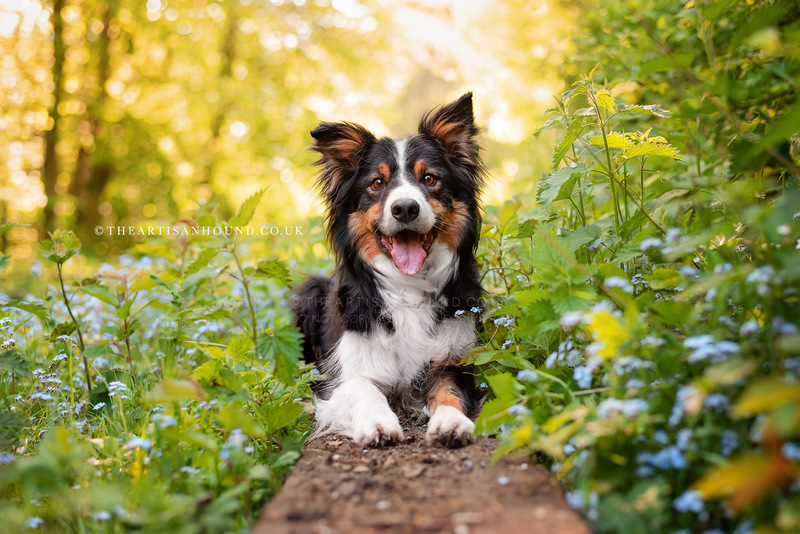 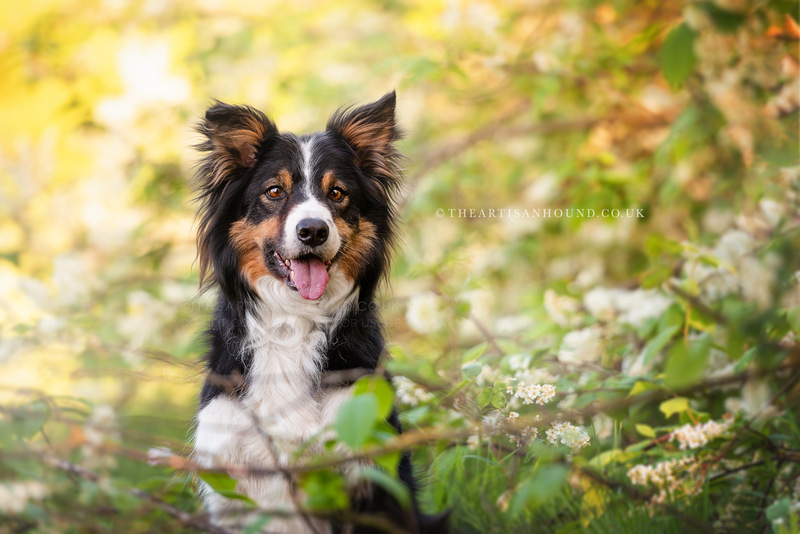 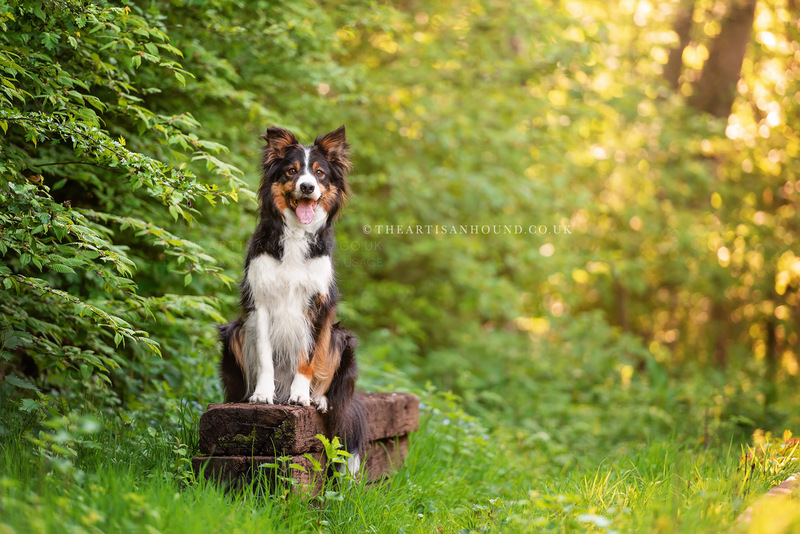 He has the classic Border Collie brains, and his mum has wasted no time in training him to an incredibly high standard – the bond and connection between them was so strong, and you could tell he was loving the work. 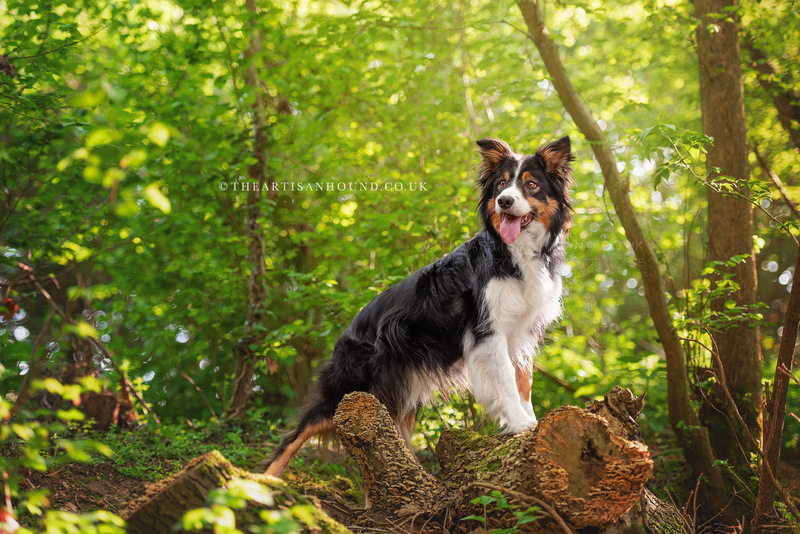 It has been so hard to choose a final image for next year’s calendar, and I still don’t think I’m quite decided yet – which one is your favourite?